Close to uninstalling the game out of frustration, I checked into the game options. Lo and behold, there was a generous selection of control layouts available. Having selected the "Tank" method, with steering buttons on either side of the screen, I decided to give Reckless Racing a second shot. Wow. The obstacle of stupid controls now removed, I was able to actually focus on the game itself. RR's clever physics and gorgeous scenery totally knocked me out. The sound effects are brilliant and the opponents provide a real challenge. As soon as you pull off that first powerslide, just clipping the apex (or hay bale) you're entranced. 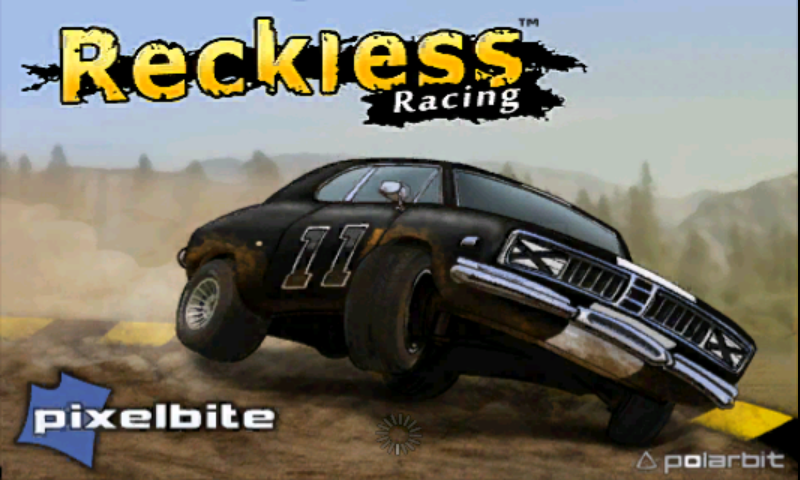 Irksome set-up notwithstanding, Reckless Racing is one of the most immediately impressive games I've played on Android. Upon starting the game, you are asked to register for an online account with the game publisher Polarbit. This account tracks your best times, gives you world rankings, and also allows you to race against other racers online in Multiplayer mode. You are also given a choice of Beginner and Advanced controls. The former goes for a more arcade style type of handling, with a lot of seamless drifting and no braking in sight. On the other hand, Advanced requires a lot more attention to speed and angle, otherwise you will find yourself sliding very wide around corners and losing precious seconds. There are six vehicles to chose from, ranging from Big Rig to Muscle Car. As mentioned, the graphics of Reckless Racing are gorgeous. The game is presented in a "2.5D" top-down style, reminiscent of the PlayStation Portable classic KillZone Liberation. Unfortunately this beauty does present a bit of a problem if your phone is not up to scratch in terms of horsepower (no pun intended). Despite the Nexus One's powerful CPU, the weak GPU proved a bottleneck and caused some stuttering framerate issues in busy sections. Thankfully I'm more of a Time Attack kind of guy, so I didn't encounter this slowdown very often, with no other cars on the screen. Even with lower powered ARM11 phones the Hot Lap mode may be playable: the ZTE Blade ran it acceptably, even with its 600 Mhz processor and WVGA resolution . It's up to you whether you want to pay full-price for only a fraction of what the game has to offer. So, the price. Reckless Racing is $2.99 in the Android market. My previous favourite game, MiniSquadron!, is the same price and nowhere near as immersive. Not only that, but the replay value added by the inclusion of online racing makes it worth the price alone. It doesn't quite have the pick-up-and-play-ability of the Angry Birds juggernaut, but in my eyes it eclipsed Rovio's chart-topper as soon as I realized I had drifting in my pocket. "THE DIRT-ROAD RACER YOU’VE BEEN WAITING FOR! 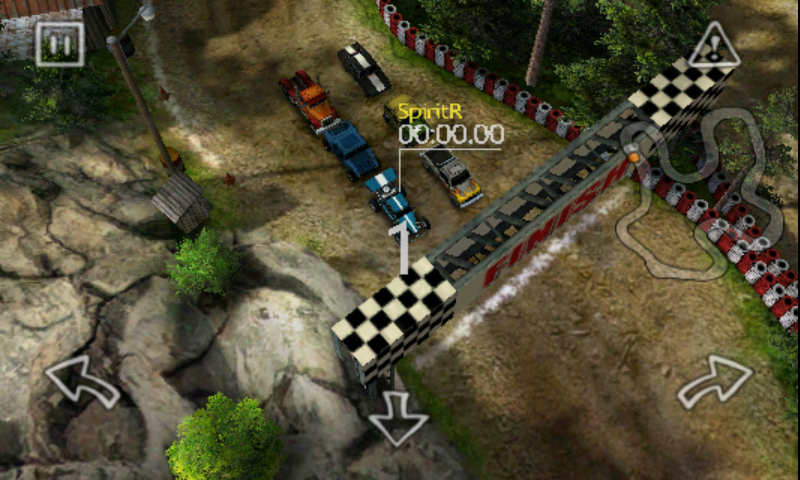 Reckless Racing combines the finest in traditional top-down racing gameplay with state-of-the-art graphic environments. Skid, slip, and slide with precision controls, and challenge friends in online multiplayer modes. Hold on tight and get ready to go! Yeehaw! "